Jodie was born in Chicago and raised in the midwest. 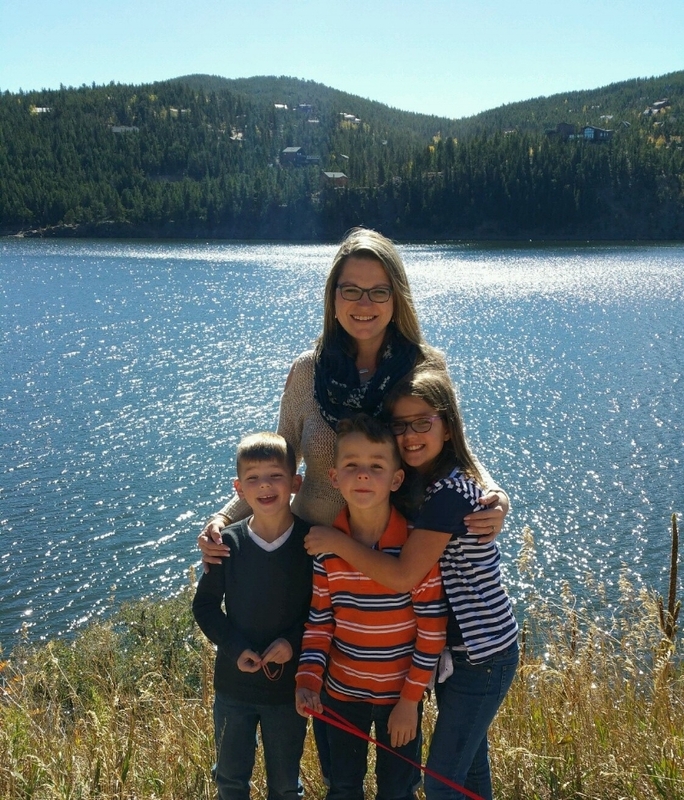 Jodie and her husband have been married for 12 years and are enjoying raising our three children in Denver as a busy, active family. They a fan of many different types of cuisines and love encouraging their three children – 10 year old daughter and twin 7 year old boys – to cook with them as a family. As parents, they love trying new foods and try to encourage their children to experiment with new flavors. A fan of living healthfully, Jodie also enjoys spending time taking recipes that she loves and turning them into healthier versions – without losing flavor! Keep reading to learn more about Jodie and what inspires her in the kitchen! My husband bought me a few cooking classes as a gift for Valentine’s Day about 9 1/2 years ago. I fell in love with learning techniques and flavor profiles. I took classes monthly for three and a half years before finally joining the staff as a classroom assistant 3 1/2 years later! I am the office and kitchen manager. I handle the day to day activities in the office along with staffing and purchasing. My favorite part of my job is definitely working with the other assistants and supporting them in their jobs. We have a great sense of community and work together so well! We are a family! I love my coworkers and our student regulars. It is a huge blessing to be able to help people learn a technique or share tips. I also love being with people and still love learning from our Chef Instructors. I keep learning new techniques and flavor profiles – it’s amazing to see how much it’s helped me in my own kitchen! I love breakfast and I love green chile. I believe that especially for my children it is important to have a healthy, protein packed breakfast every day. Below is a recipe that I make regularly. I generally make the green chile over the weekend and freeze some so it is quick and easy to throw the skillet together in the morning. Chop up all the veggies. Mix up the cumin, oregano, garlic powder and chili powder in a bowl. I season each layer with a little bit of the seasoning and salt and pepper (use less salt overall if each layer is seasoned), so I have marked where I season with an asterix. Saute onion and orange pepper until soft and onions are translucent*. Add garlic and cook just until fragrant. Add all of the peppers* and cook until softened*. Add two cans of roasted tomatoes*. Add chicken broth and green tabasco. Slowly bring to a slow boil and then reduce heat to a simmer* and cook for about 25 minutes skimming the fat from the top of the chile. Then make a thin slurry with arrowroot or tapioca flour and then simmer for another 25 minutes. Season to taste. Dice a sweet potato, coat lightly with oil, salt and pepper. Roast at 400 for 10-15 minutes or softened. Saute bacon on medium high heat until almost crispy, about 5 minutes. Then add sliced onion, red pepper and jalapeno pepper to the bacon and cook until veggies are soft and bacon is crisp. To Assemble: Layer sweet potatoes, then veggies, then two eggs (cooked however you prefer-I prefer basted or over easy), then top with green chile, a dollop of sour cream, sprinkle of cheese and a couple dashes of Chipotle Tabasco.